Composed by The Super Groovers. 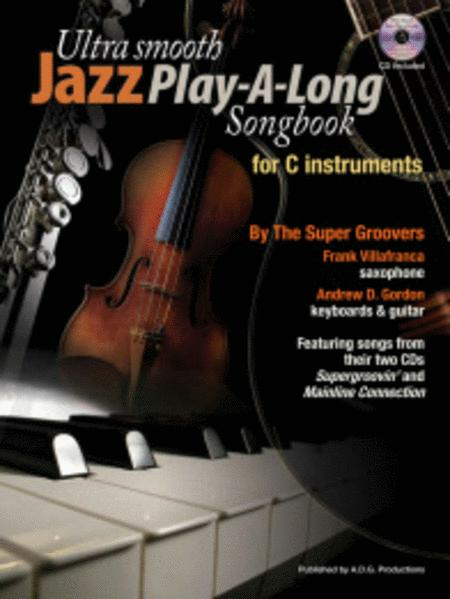 Arranged by Andrew D. Gordon and Frank Villafranca. Saddle stitch. Jazz. Book & CD. Duration 80 minutes. Published by ADG Productions (AD.ADG156). ISBN 9781934163511. 9 x 12 inches. 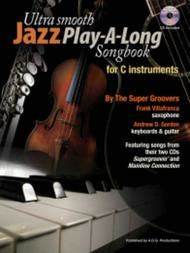 With the worldwide success of The Super Groovers previous music instructional book series "Ultra Smooth Jazz Grooves" for Bb & Eb Sax, Flute, Guitar and Keyboards containing 8 measure grooves in various smooth jazz styles, they decided to create a play-a-long book of full length songs from their two albums Supergroovin' and Mainline Connection. They picked songs that would give the music student a variety of styles to choose from, ranging from the pop/jazz style of "You Are The Only One In My Life", minor blues of "To The T" and "A Cry For Peace", funky/blues of "Super Groover", latin style of "Groovin' With The In Crowd and "Villefranche Sur Mer", gospel style of "To Our Loved Ones", reggae style of "Right Track Wrong train To Jamaica", funky/jazz of "Mainline Connection", "Keeping The Past Alive" and the bonus track "Destinasian" and lastly the funky jazz/swing feel of "Spritual Seeker".